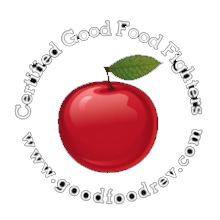 Bovio Barolo - Good Food RevolutionGood Food Revolution | Wine is food. Malcolm Jolley tastes and talks with Bovio Gianfranco winemaker Matteo Franchi. Matteo Franchi is the young winemaker at Azienda Agricola Bovio Gianfranco in La Morra. 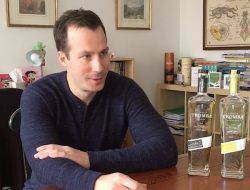 He started working with the winery’s founder, Gianfranco Bovio, in 2014 and took over the production side of things when the older man died in 2016. 2014 is a rather infamous year for Barolo and the red wines of Piedmont, since it featured an unusually cool and wet fall. 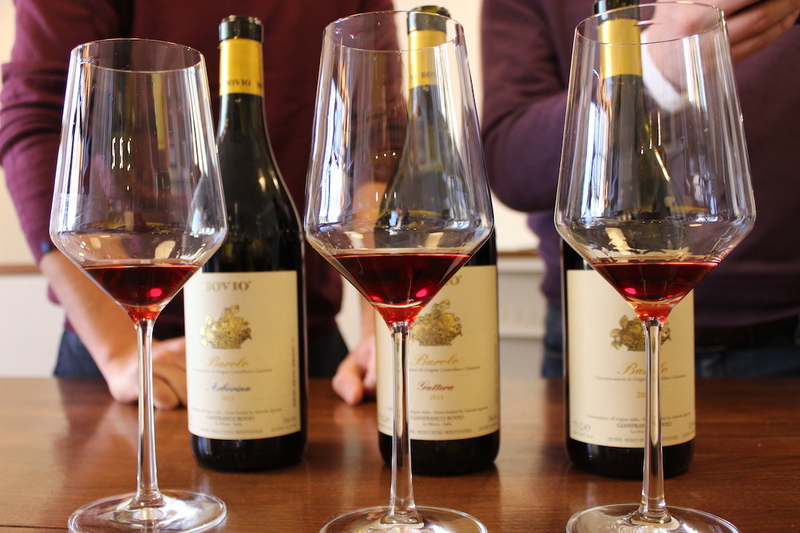 Much of the Nebbiolo harvested was declassified from single cru’s or even Barolo DOCG wines. 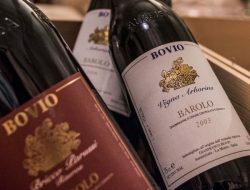 At Bovio they cut production to less than 1,000 cases of Barolo, blending the best grapes from their prized holdings at Arborina and Gattera, neglecting to make single vineyard bottlings from the two celebrated La Morra vineyards. The drastic measures paid off. 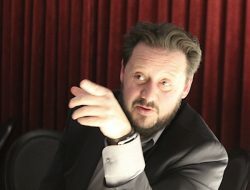 I met Matteo Franchi recently, in the company of his importing agent Ruben Elmer of The Case For Wine who brought a bottle of the 2014 Barolo for a tasting and interview at ten o’clock in the morning. It’s a perfect breakfast wine. Just kidding (sort of), what I mean is it is an elegant and pretty red cherry fruited, and lightly tannic wine with floral notes on the nose (roses) and finish (violets). It’s delicious and counter-intuitive to the profile of young Barolo. I wasn’t surpised, though: I tasted through dozens of 2014 Barolo last May at the Nebbiolo Prima conference in Alba. Many of the wines were disjointed and heavy with wood tannins, but those that were made fresh, like the Bovio, were delightful and brought to mind the red fruits and aromatics of cool climate Pinot Noir. 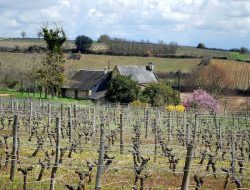 2015 and 2016 were the antithesis of 2014: hot and dry and considered classic (in the good sense of the term) for the region, so interest in 2014 has been muted, as collectors and restaurateurs anticipate the big wines from the following year. Given the subtle beauty of the well made Barolo, that’s either too bad or just fine. Many are competitively priced, like the 2014 Bovio at around $55. Signore Franchi also brought the 2013 bottlings of Bovio’s Arborina and Gattera wines (each around $70). 2013 was also a cooler year, and these single vineyard wines mirrored many of the qualities of the 2014, which makes sense since the latter was made that year from grapes from both. It must not have been quite as cool in 2013, as both wines showed their youth and were grippier and a little closed, though wonderfully elegant in their own way when they began to open up. 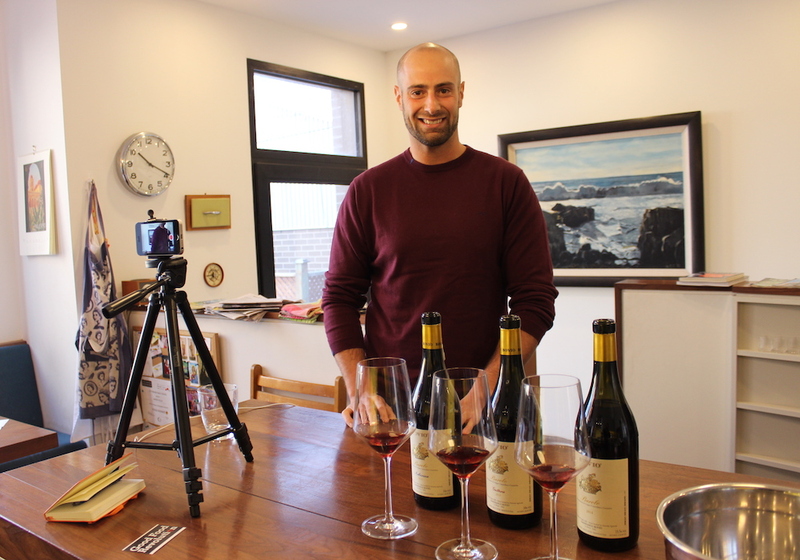 I shot the video below with Matteo after the tasting, in which he describes his thoughts on each of the three wines. Find out more about Bovio at boviogiancarlo.com, or inquire about sales at thecaseforwine.com.